Pictured is the bible Jorge’s mother gave to him the night before he left Guatemala. 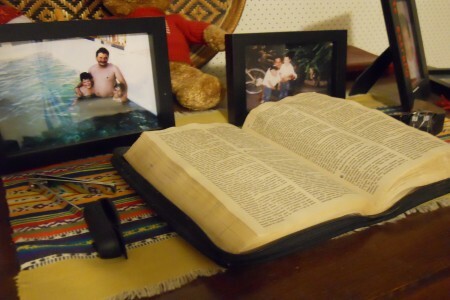 Jorge keeps the bible and several framed photos of his father and brother on the dresser in his bedroom in Evanston. The Jan. 12 earthquake in Haiti has refocused attention on the world’s trauma victims. They are far too many to count, and the aftershocks to them, their families, and the world around them are immeasurable, yet numbingly real and lasting. Notwithstanding the personal devastation wrought by Hurricane Katrina, most catastrophic events have occurred outside the United States, and remain a comforting step removed from daily American life. Chicago has always been a beacon to the world’s immigrants, and now it is training its light on and spreading its welcome mat for refugees who fled home for the safety and dignity of a place they barely knew. We feature the remarkable and harrowing stories of eight refugees – from Cambodia, Guatemala, Sudan, Burma, Iraq, Palestine, Ethiopia and Tibet. Leon Lim working as a medic at Khao ‘I’ Dang in 1980. Photo courtesy of Leon Lim. What’s the difference between a refugee and an asylee, and how does a person decide which status to choose? 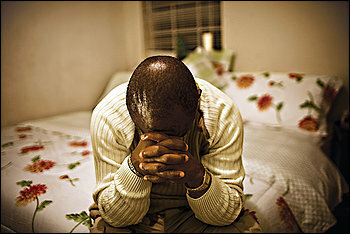 What is the process for deciding if a person has a sufficient fear of persecution to be granted refugee status? How, when and where are refugee camps started? How do people find and get accepted into refugee camps in the immediate aftermath of fleeing their country of origin? How are young people educated in refugee camps? Are there standards, and are they being met? What are the minimum requirements refugee camps must follow? Are they being met? How do refugees get chosen for admission into countries that accept them for resettlement? What criteria determine which refugees are admitted to the United States? How are the decisions made where to place refugees geographically in the U.S.? What does it take to sponsor a refugee? What type of financial assistance are refugees entitled to? Can refugees work legally in the U.S.? How is family defined for refugees and immigrants? Under what circumstances are family members allowed to join a refugee in the United States? What happens to asylum-seekers when they are denied asylum? Are ethnic Palestinians allowed to visit Israel or the occupied territories? How is it decided if it is safe for refugees to return to the country from where they fled? Are they compelled to return?